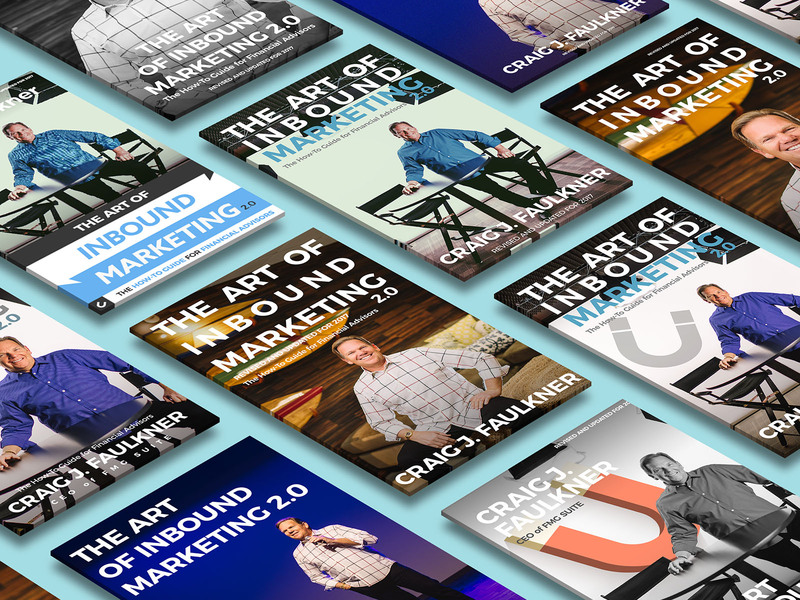 The Art of Inbound Marketing is the How-To Guide for Financial Advisors in the age of digital marketing. Craig is an industry legend with decades of experience in messaging and targeting strategy, not to mention the founder and president of FMG Suite. My creative director approached me about this project in a very hush-hush manner; because the client was our CEO it was seen as a very high risk/reward. 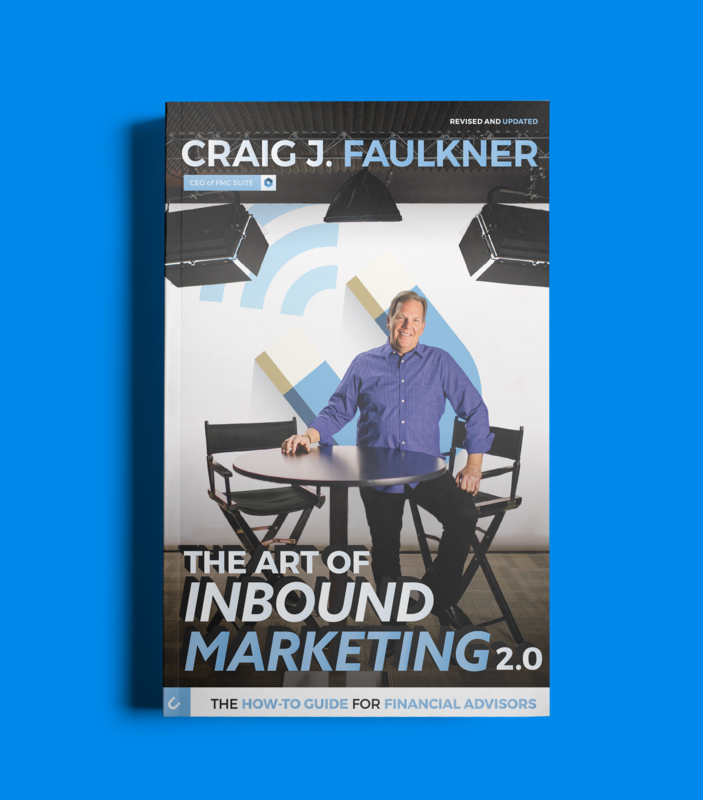 Craig and his marketing team were looking to update and revitalize the cover design of his book. It was a marketing goal to shift the focus into branding 'Craig' himself, and so we hired a photographer to shoot him in a few different scenese. We ended up choosing the interview studio setting as it felt like it was inviting the reader to be part of the conversation of the book. 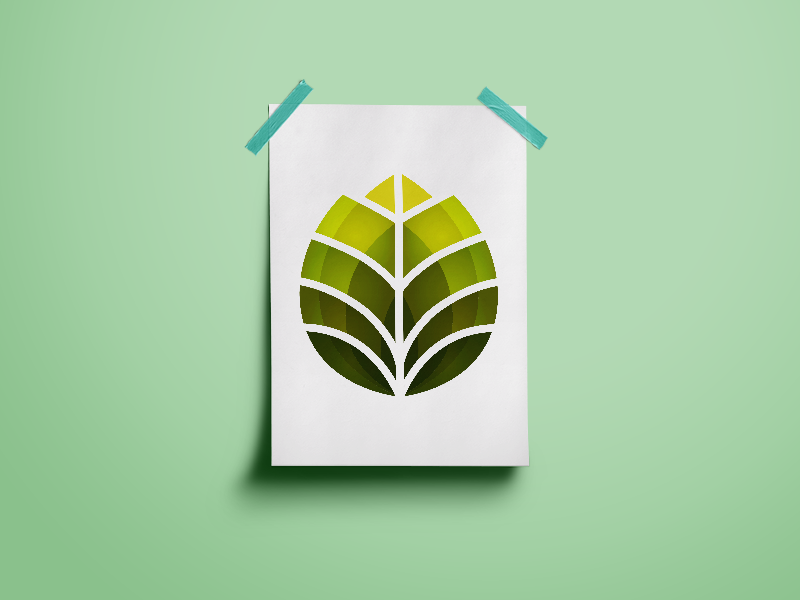 30+ design concepts were presented to him over the course of 2-3 months and we slowly whittled down the options. 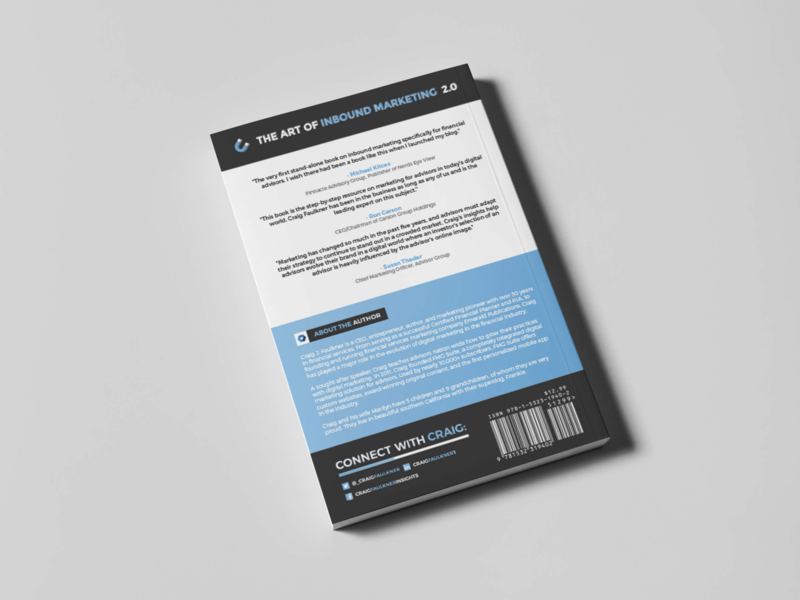 I chose to utilize the magnet as an aspect of the book design because it's a recurring symbol underlying his pedagogic approach to marketing: be a magnet over a bullhorn. Alternative design concepts for the book cover. I remember the day at the office when the truckload of books had arrived. It's a really funny and humbling experience helping to offload 10,000 of something you made.